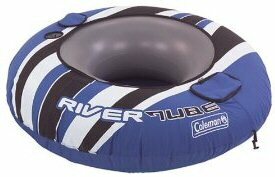 THE DRIFTERS is GTD'S 1 day inner tubing trip to one of Florida's beautiful spring fed rivers. This year we will be floating down Rainbow River. If you want a lazy day meandering away from the stresses of life as you float down an amazing liquid paradise then THE DRIFTERS is for you! Manatees, otters, and fish of all sorts may be just a few of the wildlife you encounter while skimming down one of Florida's incredible rivers. THE DRIFTERS will renew your energy & increase your praise as you appreciate the workmanship of God while you enjoy another one of His masterpiece creations. It's incredible what God can do in our lives when we take time to rest and be still. Prayer, fellowship and a God-awesome Christian atmosphere will help make THE DRIFTERS a blessing to your life. *Also transportation is available at no charge for the first 20 people. Wesley Chapel (9:30am) Meet @ Publix (In the Hollybrook Plaza) From I-75 take Exit 279 (SR54) east for 1 mile. Publix is on Right. Meet in south end of parking lot. RETURN INFO: Our goal is to return back to Tampa around 6.30pm & Largo around 7.30pm. These are goals. There are many variables that may cause delays. Be flexible. THERE ARE NO DISPOSABLE ITEMS ALLOWED ON RAINBOW RIVER. NO DISPOSABLE WATER BOTTLES, NO WRAPPERS, NO TRASH, ETC. PLACE YOUR SNACKS IN A TUPPERWARE CONTAINER. WATER CAN BE IN A "NALGENE" TYPE BOTTLE OR A NON-DISPOSABLE WATER CONTAINER. "Though options for water sport in Florida are plentiful, one of the best places to indulge in the quintessential summer ritual of tubing is the 5.8 mile Rainbow River, about two hours north of Tampa. This pristine river system discharges nearly 500-million gallons of cool, clear water a day, making it the fourth largest freshwater spring in Florida and the eighth largest in the world. With a year-round temperature of 72 degrees, the river is a haven for city dwellers looking to beat the heat in a kayak, canoe or tube. Because the headwaters of the river, located in Rainbow Springs State Park, are protected, tubers must put in south of the park entrance..."
Lunch & Dinner, Entrance Fee, Transportation for the first 20 people registered, Inner Tubes, Dry Containers, Full Time Guides, Daily Devotions, & a Lifelong Memory! Transporation after 20 people, Items Listed On Checklist, Water, Snacks, Meals During Transit. - Dinner will include GTD's "world famous" pizza quesadillas! GTD events can be paid for with cash, checks, debit/credit cards (online only), or for most events $79 or more you can sign up for our 4 month online payment plan. Click on the following links for more information or to make payment. WARNING: Extended exposure to cold water may result in hypothermia especially for smaller children & those with very low body fat. Also, there is very little shade along the river so bring plenty of sunscreen to prevent sunburns.